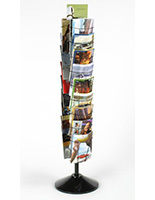 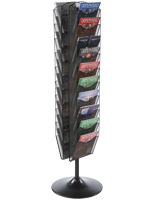 This rotating leaflet dispenser is unique among brochure organizers because each of four tiers on this 3-sided carousel spins individually so several people at once can view contents. 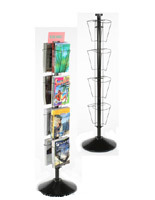 Hotel lobbies, hospital foyers, waiting areas, and retail stores are perfect places for these display stands with 12-24 compartments for storing 4" x 9" trifolds or 8.5” x 11” magazines. 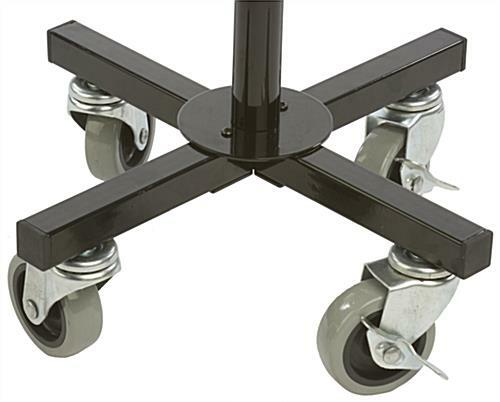 Divider pegs can be lifted and secured to wire edges to change the sizing. 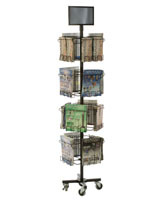 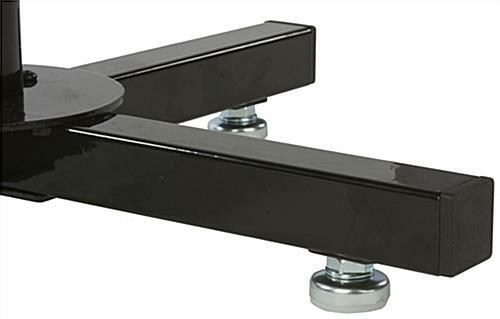 These holders are display stands that ship with (4) base levelers, (4) casters (two of which are locking). 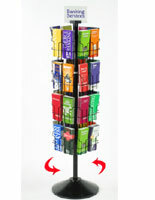 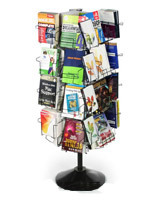 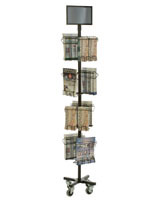 This rotating leaflet dispenser provides tons of storage without using up a large store footprint. 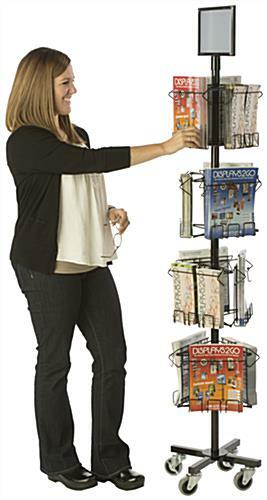 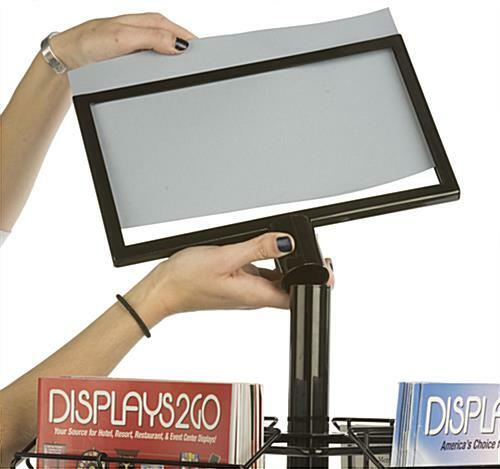 These display stands, brochure holders, feature a removable header for identifying items stored making them very versatile organizers.